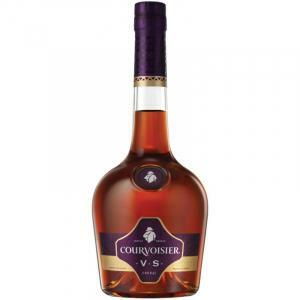 It's Courvoisier who produces the Courvoisier V.S. 1L (£22.05), a cognac with origins in France with 40% of alcohol. Uvinum users give this Courvoisier V.S. 1L 4,6 of 5 points. Thanks to Napoleon, the Courvoisier V.S. 1L has become a legend. The French emperor brought hundreds of bottles to enjoy during his exile. The Cognac Courvoisier VS has aged in barrels for 8 years before bottling. Its character comes from the distillery's meticulous care during the whole production process starting at the terroir, the grape and the cask up to the spirit's ageing. It's an amazing value for money. 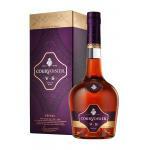 Technical sheet · Courvoisier V.S. - Flavour: The aroma is rich, fresh and balanced. Oak notes with the vigour of a young cognac. - Taste: Ending in a quick and very warm wood-tone fade. PRODUCTION DETAILS: The distillation in the smaller 25 hectolitres Alambic Pot Stills of the distillery produces luscious notes of fresh grapes, pear, lemon, orange and other ripe fruits. Sold individually not to pack. Sale prohibited to minors. Alcohol abuse is dangerous for health. To consume with moderation. An elegant and harmonious Cognac, delicate and fruity taste, marked by rich aromas of ripe fruit, flowers and oak. Great product and fair price. 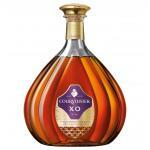 If you want to buy Courvoisier V.S. 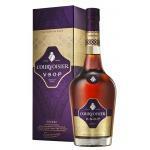 1L, at Uvinum you will find the best prices for Coñacs Courvoisier. Buy it at Uvinum, comfortable, quick and safe. We have over 59.000 products for sale and we are the leaders in sales of wine, beer, and spirits in Europe with over 38.000 clients trusting us.